“Well, if Putin can orchestrate the Winter Olympics in sub-tropical Sochi,, I don’t see any paradox at all…” said the lead actor/producer/ticket collector of Zettels Theatre. 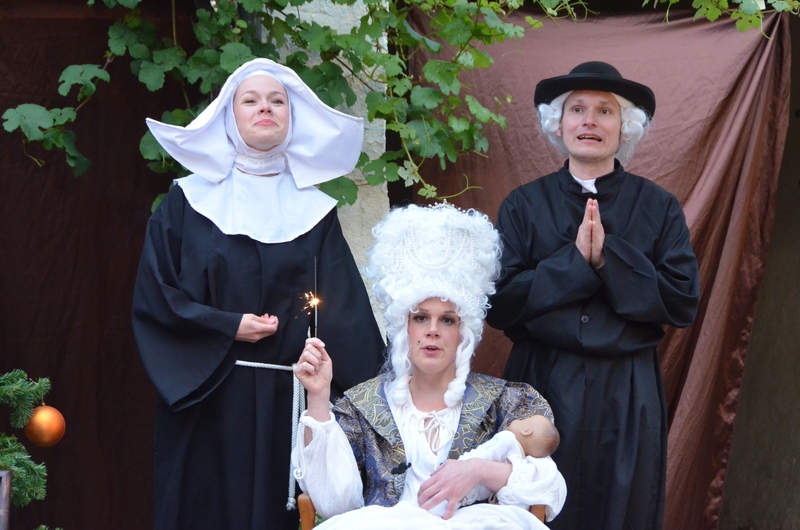 Winery courtyard in the Rheingau and a travelling show that’s nothing if not peripatetic. 13 Aug	This entry was published on 13 August, 2014 at 08:30 and is filed under Art, Mainz, NQM (Not quite Mainz). Bookmark the permalink. Follow any comments here with the RSS feed for this post.